According to Vauxhall this seven-seater comes complete with "handle-anything versatility" ? perfect for coping with hectic family life. The Vauxhall Zafira Tourer boasts an elegantly designed exterior plus a cabin that's not only spacious and well thought out, but also highly flexible and equipped with a raft of clever technology. 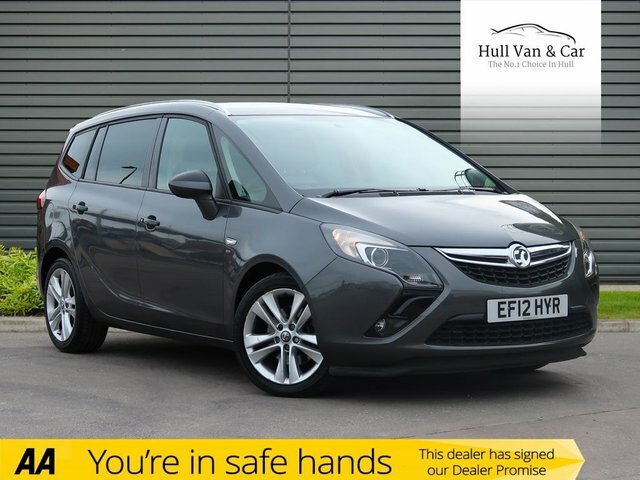 You can arrange to test drive one of the used Vauxhall Zafira Tourer models for sale in Kingston Upon Hull simply by contacting a member of the team at Hull Van & Car Co. Ltd today. Our experts will provide further details of the complete range of vehicles in stock and make all the necessary arrangements to get you behind the wheel in no time.